Made from luxury full-grain goatskin of the highest quality, the Ejendals Tegera 8555 Dyneema Police Gloves offer top performance and fit for security personnel and officers of the law. Featuring an advanced Dyneema lining, these gloves provide superb resistance against cutting risks such as blade slashes. The 8555 Police Gloves are designated Category II gloves, meaning that they should be suitable for most medium-weight tasks. 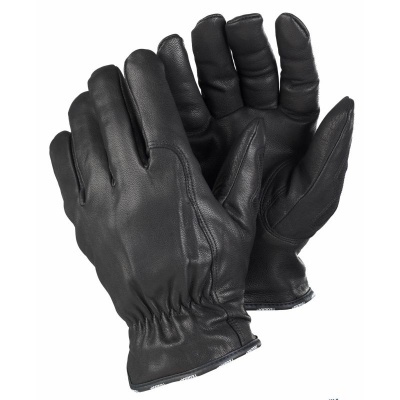 The Ejendals Tegera 8555 Police Gloves are available in several sizes that should suit the hands of most users. Please measure the circumference of your hand around the knuckles (excluding the thumb) with your hand open and your fingers together, and the length of your hand from the tip of your middle finger to your wrist.